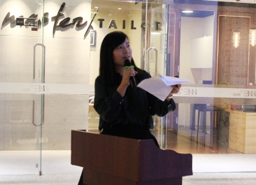 On September 22nd, 2016 the joint event on innovation was held at Franke Kitchen World Shanghai with over 60 participants. 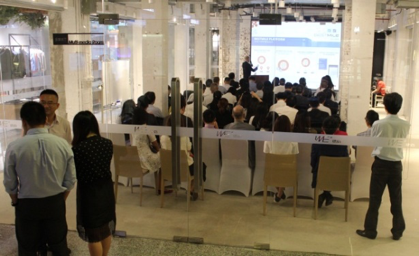 The event is organized by Swiss SME China and Zhejiang Provincial Department of Commerce Shanghai office to present the innovation developments and achievements both from Zhejiang, China and Switzerland, and to develop the network for both parties in the purpose of exploring new collaborations in innovation and incubation. It was opened by Mr. Michael Lehmann, General Manager of sim (selective international management) - the Representative of Swiss SME in China with a welcome speech. Mr. Ma Jianguo, Deputy Director-General of Zhejiang Provincial Department of Commerce and Mr. Pascal Marmier, Vice Consul General of Switzerland in Shanghai and CEO of Swissnex were invited to introduce the innovation developments in both Zhejiang Province, China and Switzerland. Ms. Chen Fei, Section Chief of Xiaoshan Sino-Swiss Industrial Park/ Xiaoshan Economic & Technological Development Zone then gave the speech about Zhejiang Sino-Switzerland (Xiaoshan) Industrial Cooperation Park and was followed by the speech of Mr. Wang Yu, General Manager of ABB Hangzhou Winmation Automation Co., Ltd., in ABB Intelligent Fab Automation in Xiaoshan. 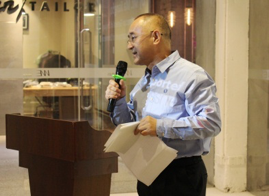 Mr. Wang Yu, General Manager of ABB Hangzhou Winmation Automation Co., Ltd.
A buffet dinner sponsored by Zhejiang Provincial Department of Commerce, Franke Kitchen World and SATIS International Trading was hosted for further communication and networking. The evening was a great success and we look forward to continually act as the bridge between Switzerland and China, and help active parties to meet, develop their knowledge and to discover business opportunities. sim (selective international management) Co. Ltd.
Public Event March 2017 – Is your team productivity up to speed? 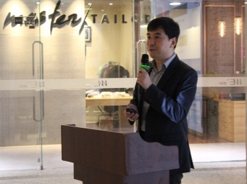 Public Event September 2016 – How to localize your SEM in China? © 2016 Swiss SME China. All Rights Reserved.